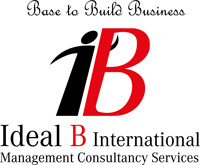 Ideal Business International FZE offers a full package of office management services. The focus of the mission is not just cost reduction, but driving business performance improvements across processes spanning revenues, cash flow and capital utilization as well as maximizing customer satisfaction, and enhancing overall competitive advantage of the client organization. This also gives you increased flexibility in resource management, allowing you to make faster, better decisions about how to allocate labor and marketing budgets.